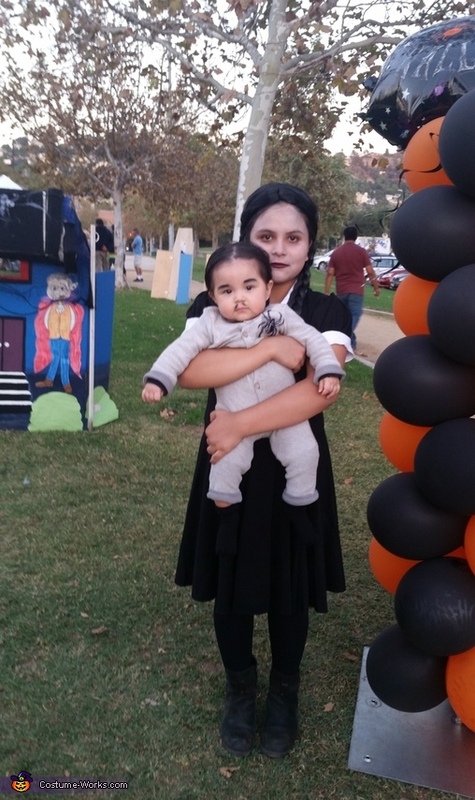 My niece Gianna is dressed as Wednesday Addams and my son Aedan is dressed as Pubert Addams. The idea came from us watching The Addams Family Values. My son looked alot like Pubert Addams so decided to ask my niece to play Wednesday Addams.